When the Brit and I lived in the UK, our local place was called The Nazma. We would often meet our friends on a Friday night and walk the 1.8 miles each way so no one had to drive. (They were boozy nights.) 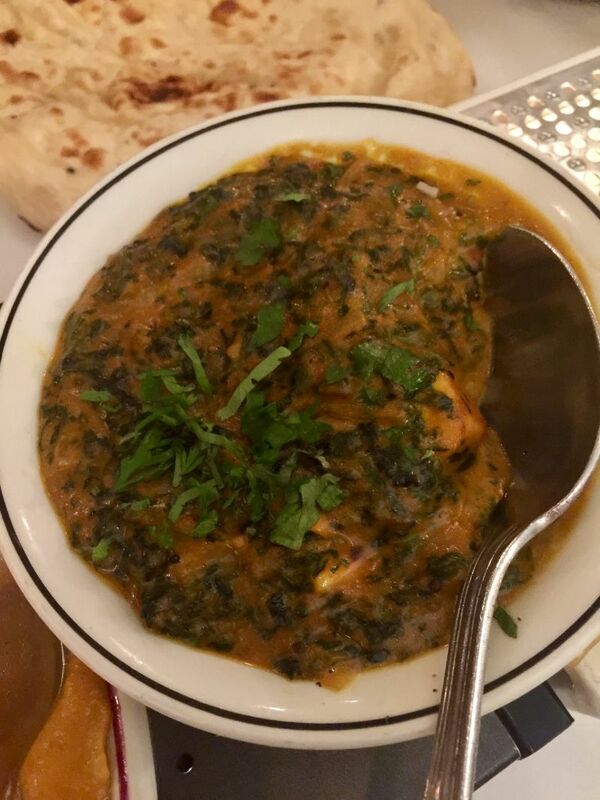 Curry is a very social meal and it is part of British culture these days. It is up there with going to the pub. 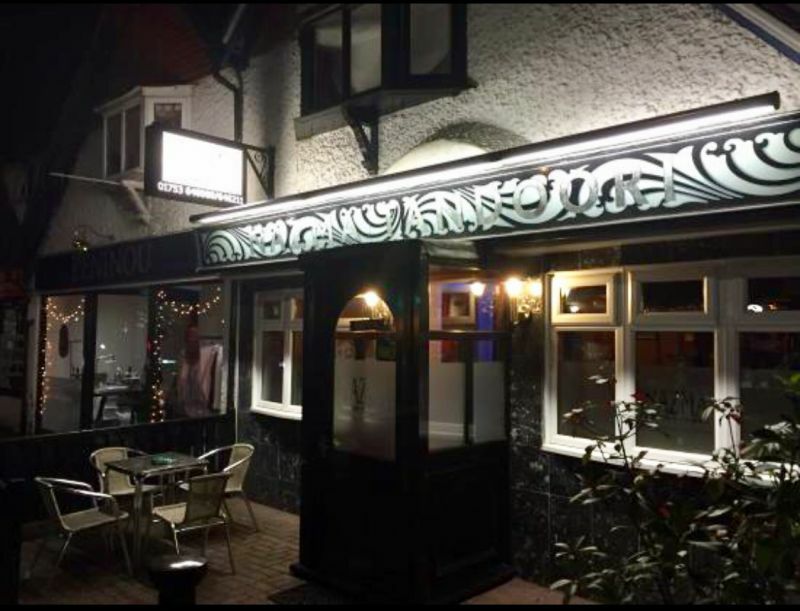 The Brit comments: Indian restaurants tend to open late, allowing people to visit the pub first and finish with a curry. This time when we were visiting our friends and our old village we jumped at the chance to visit our favorite Indian restaurant again. Shu the owner made sure we were welcomed back and we had a wonderful night. I got to go a second time after the Brit went home. 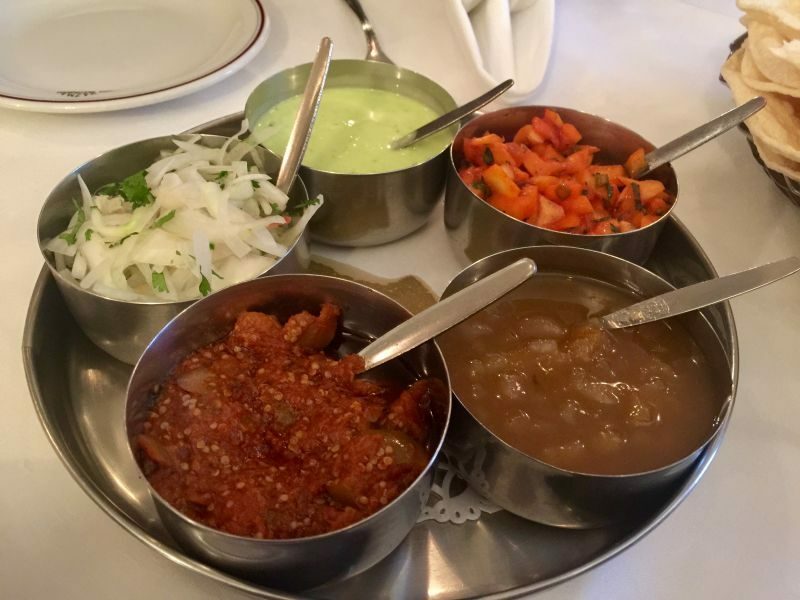 If it is possible, the food was even more delicious on the second trip as we ordered one of their very special dishes “Lamb Kurzi” that you have to order twenty-four hours in advance. The Brit comments: In all of our years visiting the Nazma, I never tried this special dish; another reason for me to be jealous of California Girl’s extended stay in Europe and the UK. We started out with an order of poppadoms. They are a very light and crispy chip-like snack that you break off and eat with various chutneys and sauces. They are delicious. I loved the sweet onion relish that was served. Raw onions tossed in a light curry sauce. They also serve yogurt and mango chutney. The Brit comments: My favourite is the mango chutney. 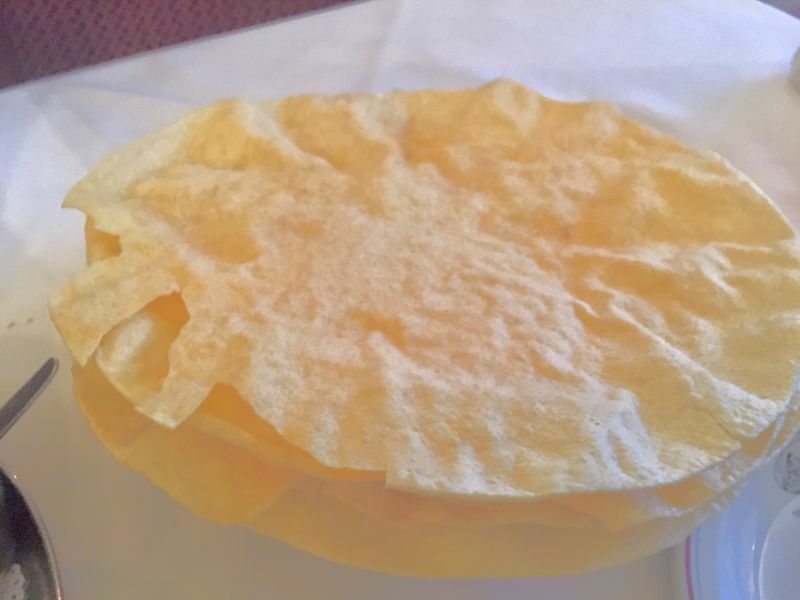 The Nazma, as is common, also serves a lime pickle with the poppadoms. The lime pickle is traditionally by far the hottest of the accompanying sauces; watching a curry neophyte take a big bite of lime pickle is surprisingly hilarious; I had a similar reaction at my first Sushi experience when I took a large bite of what I thought was guacamole. My next course was something I don’t seem to ever find in the US when I have visited Indian restaurants; onion bhajis. (Wow, just writing this, you are going to think I am an onion fanatic!) They have shredded onions dipped in a batter with spices and then fried. They are crispy and full of flavor. 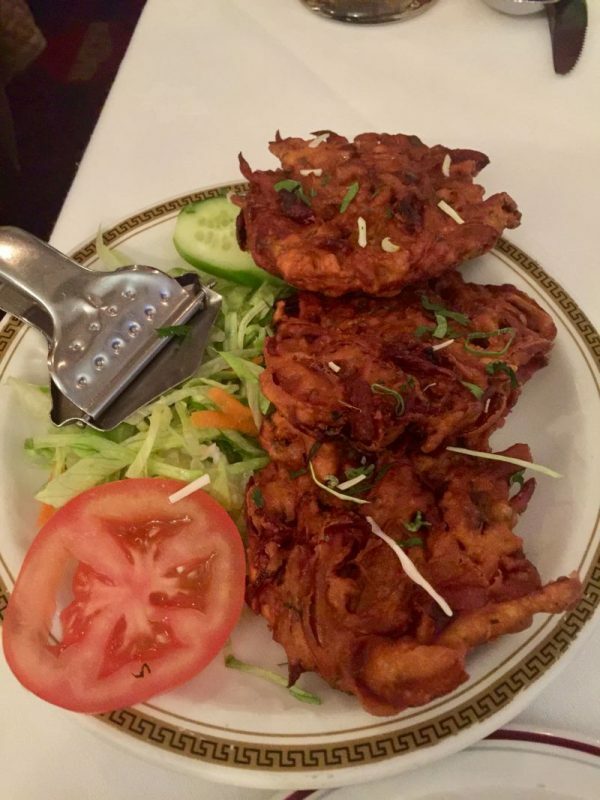 The Brit comments: In my opinion, the bhaji is one of the dishes that the Nazma does not execute excellently; I find their version to be a little bland. 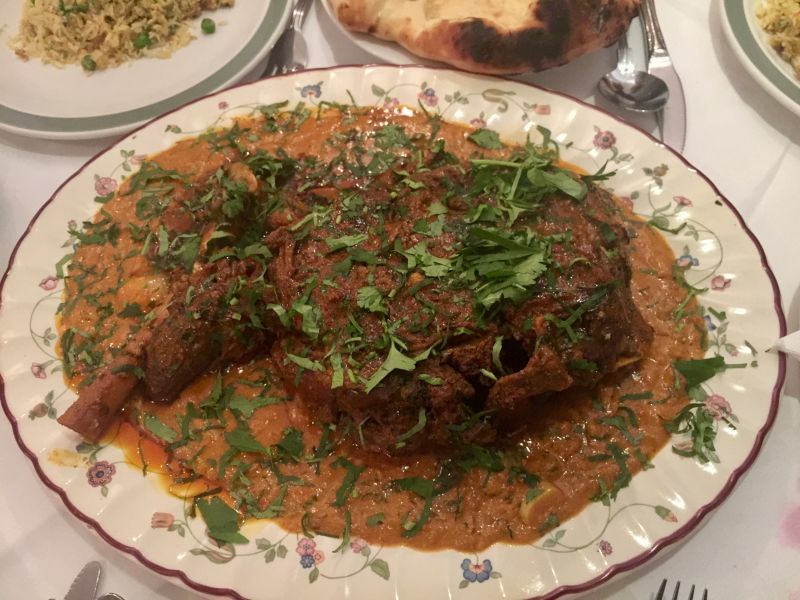 For our main dish on our second night we had a whole spiced leg of lamb in a mild curry sauce. I think this is the best Indian dish I have ever eaten. It was a WOW! The leg of lamb was roasted slowly until the meat was just falling off the bone. The curry sauce was like a thick stew and instead of ruining the beauty of the leg of lamb, it was served in a pool around it to really show off the dish. I have never had it before and I was simply blown away. The flavors were amazing. Everything was subtle without overpowering the flavor of the lamb and blended in a wonderful combination. 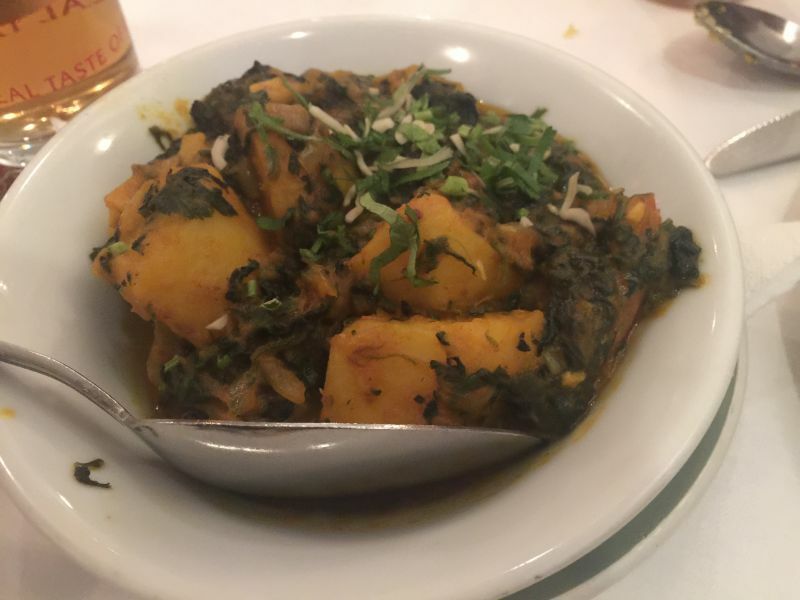 Accompanying our main dish we had side dishes of sag aloo, which is spiced potatoes and spinach in a light curry powder and cooked until tender. 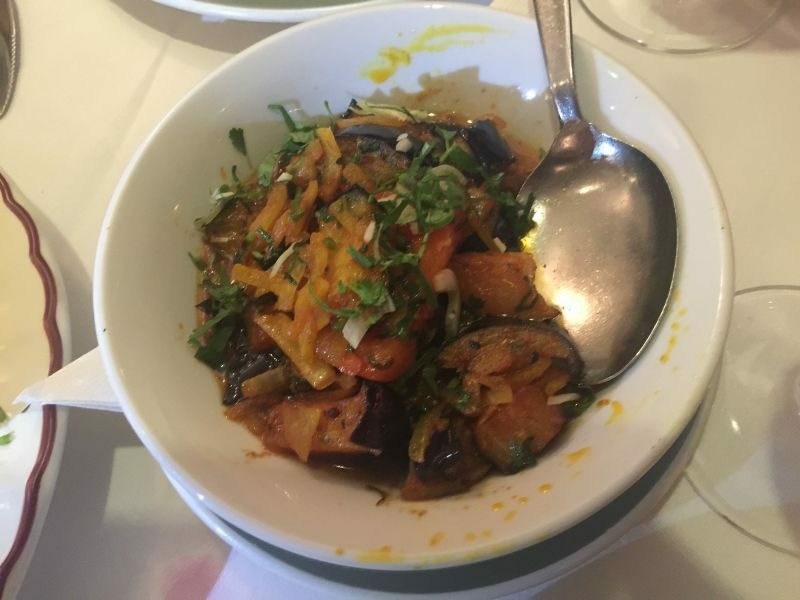 We also had a dish of roasted eggplant which is a staple of Indian food. Of course no Indian meal would be complete without Naan bread. We chose garlic Naan. Indian food is usually consumed with beer. Tiger beer or Kingfisher Lager are the most popular to have. 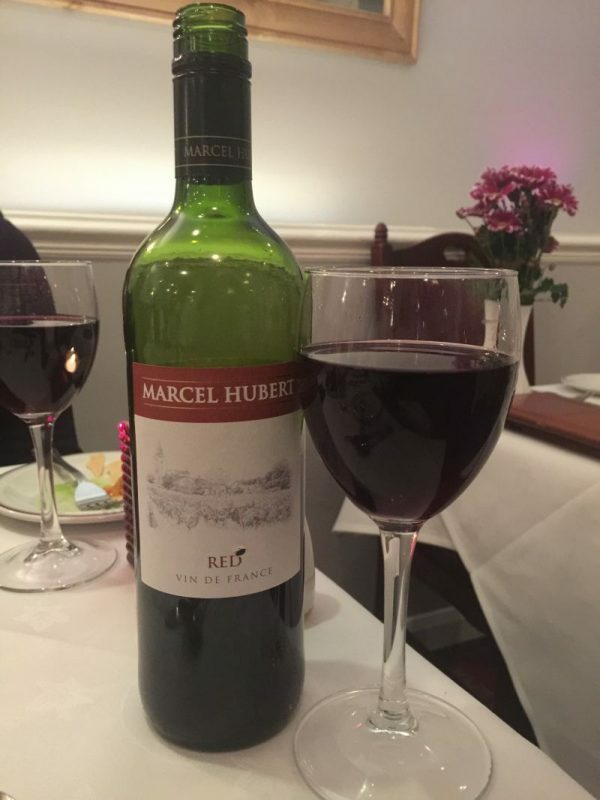 At Nazma, we also got the choice of wine with our meal. I couldn’t believe how good (and affordable) the house wine was. It really encourages you to order that second bottle (hence the long walk home). The wine was smooth and fruity without being at all sweet. Low tannins made the wine a really nice accompaniment to the food. We were all so full we skipped dessert, but we did all enjoy the bit of chocolate orange candy we were given at the end of the meal. This place is a total gem and I am sure we will visit every time we are back home; it is just that kind of place. Great food, nice atmosphere, and a friendly warm host. It will always be “our local curry place” even from 7,000 miles away….